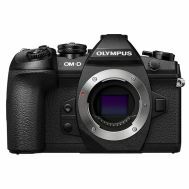 $50 off Olympus TG-5 Cameras & Packages! Rated to 50' without a housing! Shockproof, waterproof, freezeproof! The Olympus TG 5 is rated to 50' without a housing! Great new RAW Format and Underwater HDR mode. 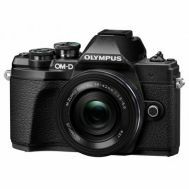 The new flagship of Olympus’ ultra-rugged TOUGH range is ideal for anyone with a passion for outdoor sports and adventure and high-quality photographs. 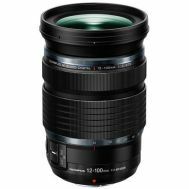 Its super-bright, large-aperture lens makes first-class shots possible even in poor light. 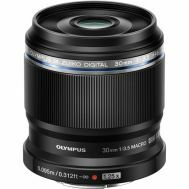 The 1:2.0-4.9 wide, high-speed 25-100mm* 4x optical zoom unit feeds the same TruePic VIII image processor found in Olympus’ high-end OM-D E-M1 MKII interchangeable lens camera. Use Pro Capture Mode to nail perfect shots that require split second timing. It buffers a running series of high-resolution images, then captures a precise moment plus the previous 5 frames with a single button press. 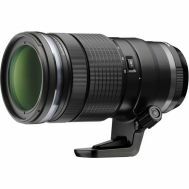 Also featuring four-mode Super Macro system gives nature enthusiasts the potential to capture startling close-ups in a detail and quality that makes sharing a must. Uploading is instant and easy via WiFi and a smartphone. The TOUGH TG-5 caters to its most creative owners with specialist converter lenses and macro accessories. For the most adventurous, it comes in a virtually indestructible, trademark TOUGH body. The TOUGH TG-5 is available in black or red. One glance at the new camera’s riveted casing cements the TOUGH reputation for excellent build quality. It is shockproof to a height of 2.1 meters, crushproof to a weight of 100kg, freezeproof down to -10°C, dustproof and waterproof to a depth of 15m without a special underwater housing. TG-5 captures lifelike images with an unmatched combination of features. For the first time in a rugged compact camera, you can shoot in RAW for the highest possible resolution and maximum creative control. With Olympus’ advanced 12 Megapixel BSI CMOS Sensor and the TruePic VIII Image Processor, you will capture the smallest details and the brightest colors of every exciting moment. The TOUGH TG-5’s reassuring body protects some world-class imaging technology. For example, the first-ever macro mode to feature four settings in one. Advanced super Macro Mode comprises Microscope Mode, Microscope control Mode, Focus Stacking Mode and Focus Bracketing Mode. Microscope Mode lets you magnify a subject more than 40x from as close as 1cm. So if it measures just 1mm in reality it can impressively appear as large as 44.4mm on the LCD. Focus Stacking Mode counteracts unintentional bokeh caused by a shallow depth of field. It automatically shoots multiple shots of a macro subject with different parts in focus, then merges them to a crisply focused image of publishable quality. The upshot is maximum creativity without a computer –which is just what you need when you’re miles from home. More convertible One of the key disadvantages of smartphone cameras and strap-on camcorders is the limitation of storage for high-resolution images. Not to mention the lack of creative accessories that tends to result in generic shots with low-quality. One of the great advantages of Olympus’ TOUGH TG-5 is the pristine image quality it delivers, even in low light, plus compatibility with converters and macro accessories that let you shoot with a range of spectacular styles and effects. For example, the new ring-shaped LG1 Macro Light Guide that screws directly onto the wide-aperture lens to illuminate macro subjects evenly from all sides. 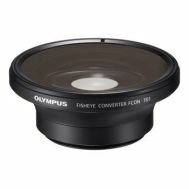 Or a Converter Lens Adapter and variety of converter lenses (fisheye, telephoto) that can be attached in severe conditions – including underwater –without the risk of damaging the camera. 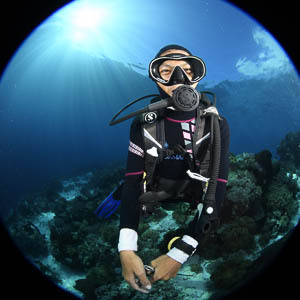 For shooting at greater depths, the PT-058 underwater casing protects your camera down to 45 meters. The inevitable result of all that creative versatility? The potential to capture a varied and original collection of high-quality, 12-Megapixel photographs and 4K HD movies that you can upload to social media via WiFi, with the confidence of avoiding the ‘hall of shame’ reserved for the many sub-standard snapshots taken with average gear. WiFi also lets you remotely control the TOUGH TG-5 from a compatible smartphone, making it simple to get close-up shots of easily startled subjects like insects and other animals. You can release the shutter directly on your phone’s touchscreen and check the composition of selfies in inaccessible places where there’s no-one else around to help.